Whether installing on a new table or adding to a table purchased in the past, Legacy’s patented Perfect Drawer (USA patent no. 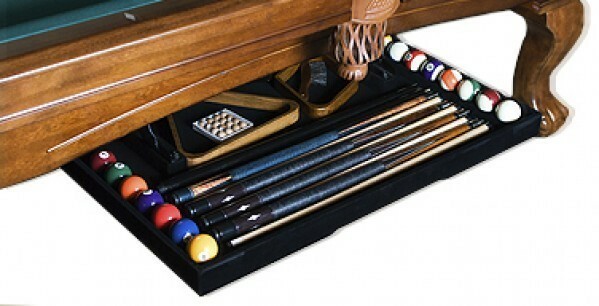 US8177650) is the first and only attachable drawer made for storing all your billiard accessories uniquely and safely under your billiard table. Available in sizes made to fit virtually any seven, eight or nine-foot table, the Perfect Drawer is easy to install without any special tools. And when not in use, the Perfect Drawer is tucked neatly under your table, and out of sight.